Stroll down memory lane here. As we try to remember, we might send well-connected birthday greetings to Bob Wallace; he was born on this date in 1949. 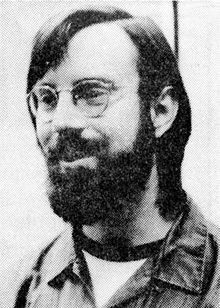 A software developer, programmer and the ninth employee of Microsoft, He was the first popular user of the term “shareware,” creator of the word processing program PC-Write, founder of the software company Quicksoft, and an “online drug guru” who devoted much time and money to the research of psychedelic drugs.